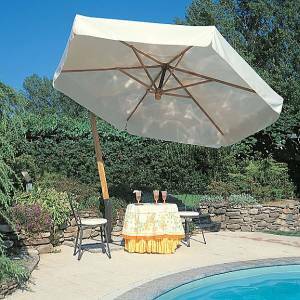 There are many offset pole umbrellas around. 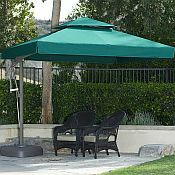 Few offer the quality of our offset pole shade system. 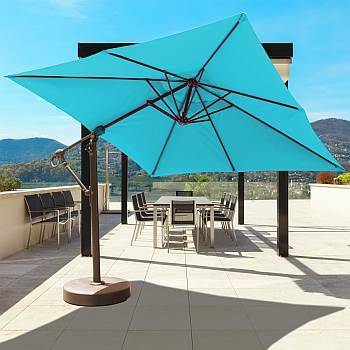 Our offset umbrellas will give you many seasons of "sitting in the shade" on those wonderful hot sunny days outside, on your deck, patio, pool or lawn! 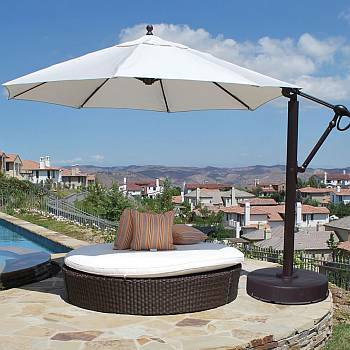 What makes these offset patio umbrellas so unique are three major factors: First, they don't have a center pole. Second, they tilt to from horizontal to nearly vertical. Third, they rotate 360 degrees around. 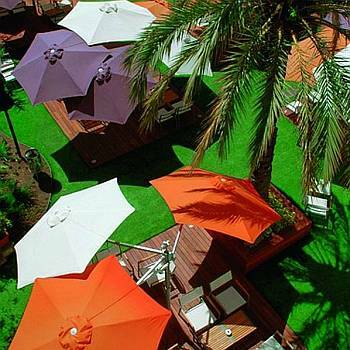 These unique shading systems are patented and protected. 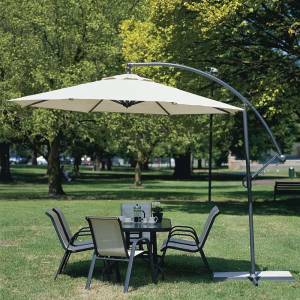 Roma Side Post Umbrella - This 10ft Octagonal is a basic style of side post offset umbrella. 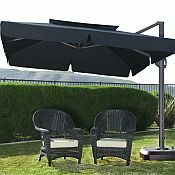 It is very popular for its competitive prices and excellent quality. It is a perfect starter side post umbrella. 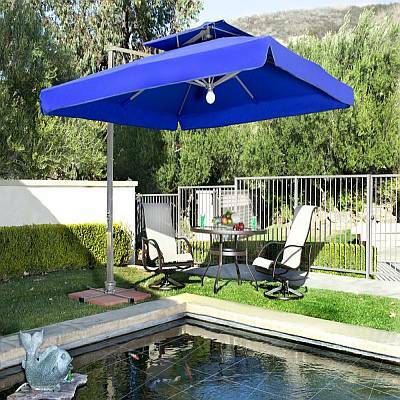 Sorrento Offset Patio Umbrella - With a major jump in quality of the pole, its tilting and lifting mechanisms, and canopy fabric, the 8ft Square Sorrento Side Post Umbrella has many options. 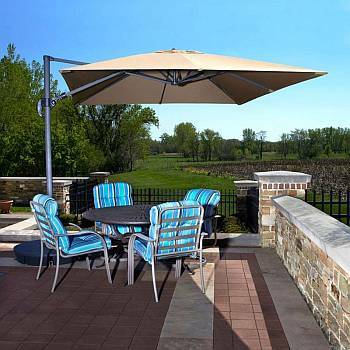 Choose between the 100% solution dyed SunDura or optional Sunbrella fabric, Moonlight, Cross or Cast Iron Stand. 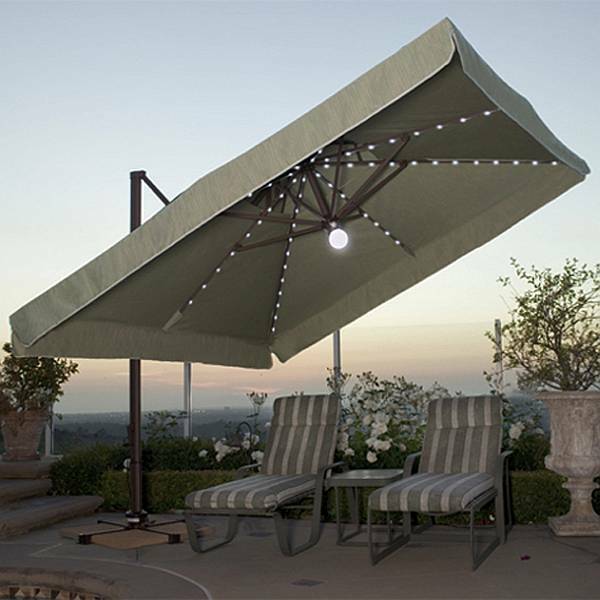 Portofino Offset Patio Umbrella - 10ft Square with optional moonlight and running rib lights. 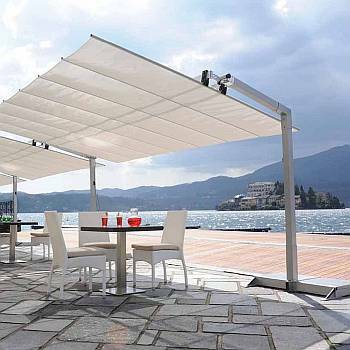 It has quality without any compromise. 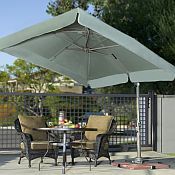 It comes with 100% solution dyed SunDura or optional Sunbrella fabric.